The Gardens at Post 35 event venue provides a selection of beautifully appointed indoor and outdoor spaces for your desired event. 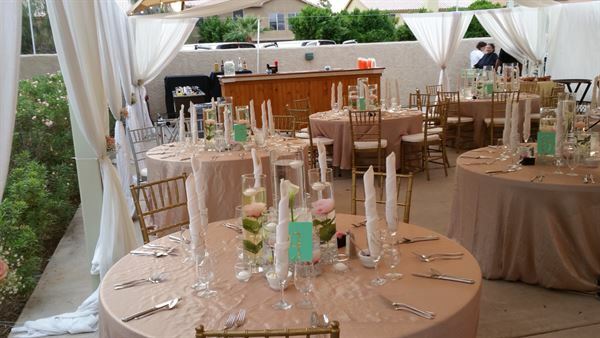 With many years of experience, The Gardens and Michael's Catering can help you by exploring your options for the big day. We offer the average $15 per person and custom menu starting at $10 per person from 50 to 300 capacity. We offer the average $15 per person and custom menu starting at $10 per person from 50 to 300 capacity. Our Hall rental package includes; linens, cash bar and security at $15 per person Basic Packages include Set up, Linens, Cash Beverage Service and Security. Menu Design available contact us for more info.